Is the Public Statement of Advocacy the New PR Stunt? Minneapolis-based Target hit a direct bulls-eye with an interesting blog post from Executive Vice President and Chief Human Resources Officer Jodee Kozlak. In the post, she notes her retail chain had signed on to a recent federal amicus brief. 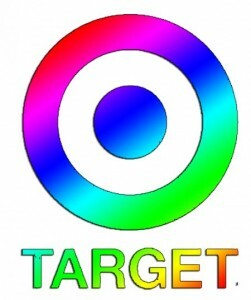 Nothing too exciting, until you see that Target now stands side-by-side with Apple, Nike, Starbucks, and Facebook in support of judges striking down bans on gay marriage in Wisconsin and Indiana. This announcement came as a stunner to many in the press as the organization has been unclear about its stance on the subject for many years. Target executives do not talk about it, which is why many assumed that they were not supporters. Then this blog post happened, inspiring headlines everywhere. And a few hacks and flacks of the more cynical nature were left wondering whether it was a sincere statement or a stunt. The company has been attempting to clean up its image with the LGBT community ever since the 2010 Minnesota governor’s race, The Star Tribune reports. At that time, Target, Best Buy and 3M donated hundreds of thousands of dollars toward an organization that supported Republican Tom Emmer, a vocal opponent of gay marriage. The three companies defended the move by claiming the money was meant to support a pro-business candidate. Still, gay rights activists blasted the businesses, and Target in particular, with threats of boycotts. 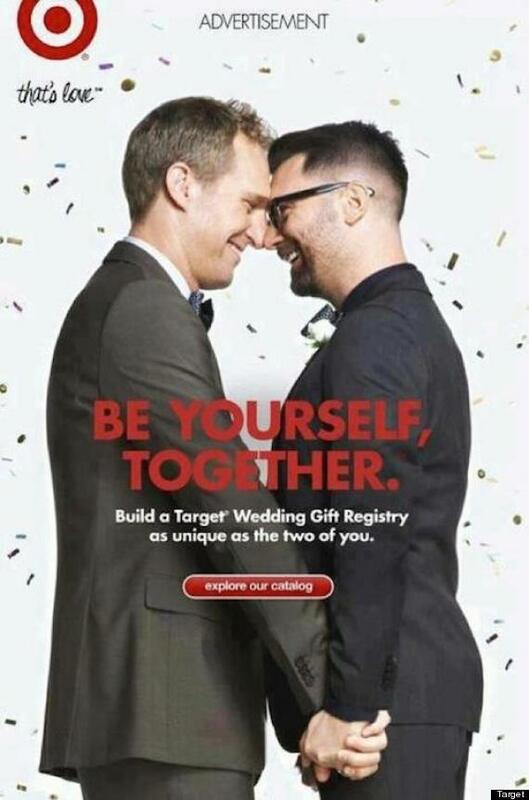 In 2012, Target came out with nice piece of advertising for its wedding registry, under the slogan “Be Yourself, Together.” It was heralded by LGBT groups and then fizzled out because an image is actually not worth a thousand words in this case. Then came the security breach followed by lost confidence and lost consumers. And now this. There are plenty more examples of why this blog post couldn’t come at a better time, and that’s what got us thinking: Was it good sentiment or just good timing? As our leadership team discussed signing on, we took time to consider the bigger questions at hand. This brief is important, as the issues it addresses have significant impact on businesses. But it is more than that and we agreed that now is the right time to more directly share our views on this issue. It is our belief that everyone should be treated equally under the law, and that includes rights we believe individuals should have related to marriage. Huzzah! Good times! So is it time to blast Kool & the Gang or what? What about the highly controversial (but just as searched and discussed) op-ed by The New York Times editorial board? Sure, it’s nice when a group of highbrow pundits comes out with such a strong stance on a subject like the legalization of cannabis. People applaud, read, and wait for what’s next. Then there was the advertising, as pro-legalization and education group Leafly purchased a full-page ad for approximately $200,000. No one thought the New York Times was simply aiming for a little free publicity. Target, on the other hand, is not an editorial entity. Its only real interest is its own bottom line. So was this a real, deeply-felt statement of advocacy, or was it a cheap grab for publicity? This is the world in which we live. Which side are you on?